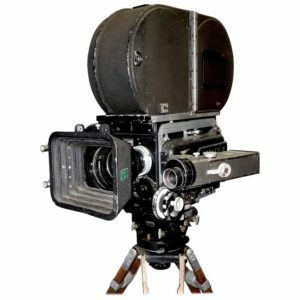 Offered for your consideration is this Circa 1949 Mitchell prop / display camera on vintage wood legs and tripod head. 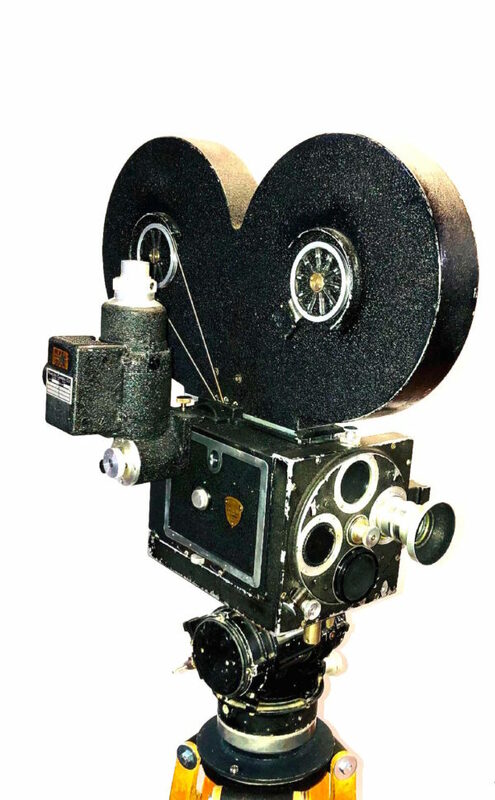 We created this camera display prop using all factory original Mitchell components. 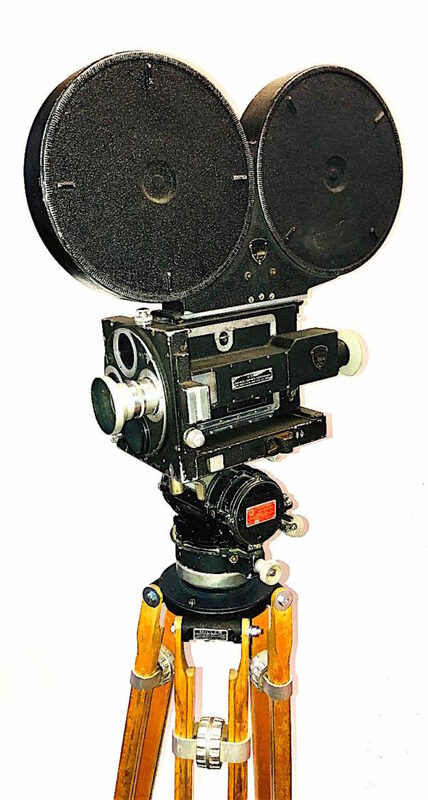 It shows as a real looking Mitchell 35mm camera, but this piece has no camera movement and is not a working camera. 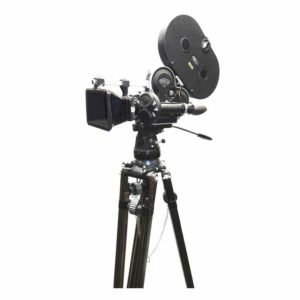 This wonderful example is priced at a fraction of the cost of a similar properly working Mitchell camera. It offers a very realistic display look. We think it looks terrific and ‘ready to shoot’. 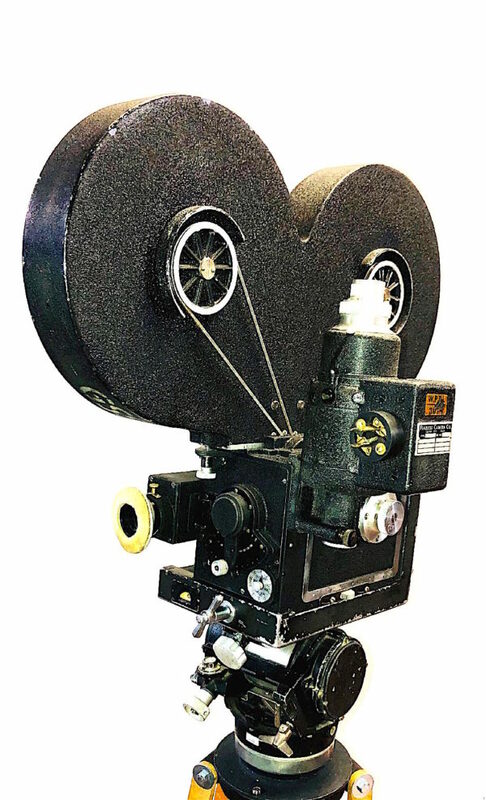 Included is a vintage 1000′ Mitchell 35mm magazine with drive belt, a vintage aftermarket but quite correct rare and working variable speed AC motor made to fit a working Mitchell camera, a real Mitchell camera body box with Mitchell finder door and Mitchell motor door. The tripod is a set of vintage [working] wood legs from Australia. The head is a vintage O’Connor model 50 fluid head also in working condition. The lens is a tribute fabrication that looks actual for the period, but is not a working optical lens. Offered for those buyers on a budget yet who still want an authentic looking display piece for home, studio or office. 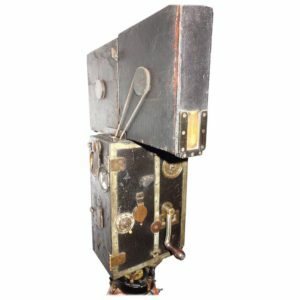 We feel this is a very rare find and a wonderful looking artifact comprised of real Mitchell components. Measurements shown below are very approximate. Please contact us for exact dimensions and additional photos if desired.